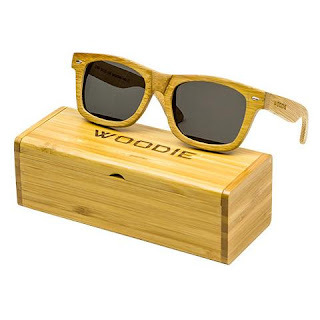 Bamboo Wooden Sunglasses Bamboo wood sunglasses using high quality natural bamboo from raw materials that has been carbonized. Carbonizing the bamboo is a heat-intensive method that gives the bamboo a deeper and richer color to it's core. This pair is not considered small or large. Each piece is original because no two pieces of wood are exactly the same. 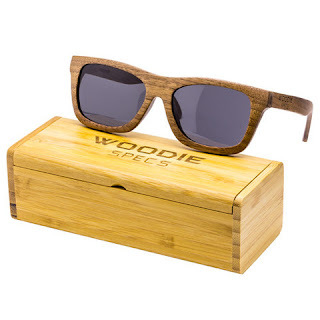 Your bamboo wood sunglasses also come with an elegant wooden box. These are unisex and can be worn by men or women. Walnut wood sunglasses using high quality natural walnut wood from raw materials. Each piece is original because no two pieces of wood are exactly the same. 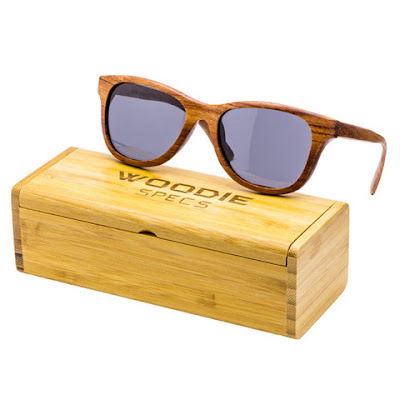 Your walnut wood sunglasses will also come with an elegant wooden box. This pair is not considered small or large. Walnut wood ages very well with natural wear... Over time, the natural oils from your skin will actually make these walnut wood sunglasses slightly darker and richer in color for an even more beautiful look. One Lucky Winner Will Be Able To Choose Their Color & Design From Above. A Big Thank You To Our Sponsor Woodie Specs. Woodie Specs.